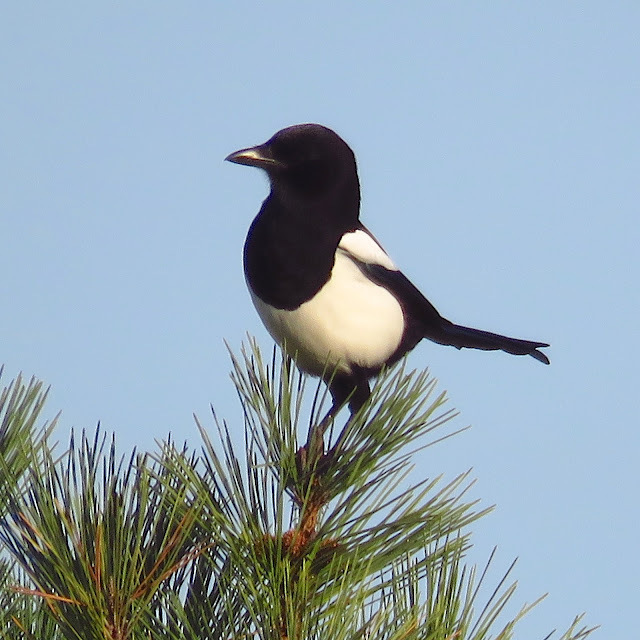 In the low winter sun, this magpie was tree-topping, displaying her contrasting black and white plumage, a typical territory-owner behaviour. They will 'tree-top' on aerials and buildings alike in towns. This one also regularly 'tail-flirted': a quick bow and tail flick, which is very noticeable and draws attention. 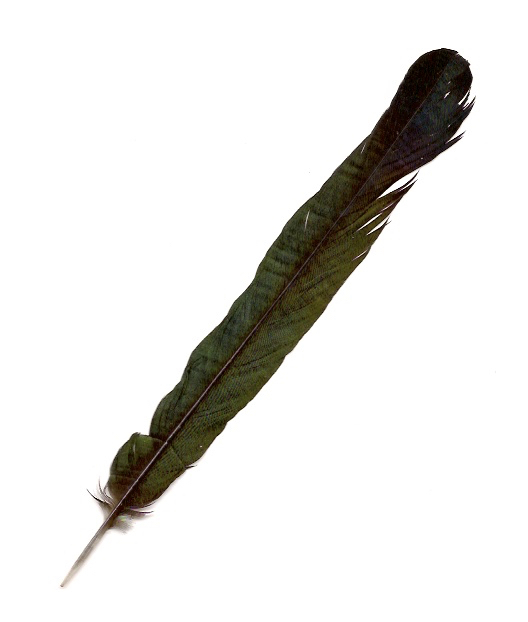 Magpie's apparently black plumage has structural iridescent colours, blue sheen in the wings and green and purple in the tail tip - as shown in this tail feather - which are shown during displays and aggressive encounters. Breeding, territory-owner magpies have the brighter and greener iridescent hues than non-breeders. Plumage brightness in birds especially in body parts that are displayed during territory defence or during fights, reflects the owner's health and attractiveness, so their display advertises not only territory ownership, but its good body condition, so that potential challengers can assess it, and potentially avoid fights that they might be likely to lose. Thank you. Very interesting to learn more about the complex behaviour of these intelligent birds. Wonderful. There are so many things that I have always seen magpies do and now have an explanation for thanks to you.